We also offer business education training where we can review your numbers and provide easy-to-read reports. Are you having trouble with your QuickBooks Program? Is it time to upgrade, but you need help? Do you have a new bookkeeper and he/she needs training in QuickBooks? Do you have a small business and don’t need a full time or part-time bookkeeper? Well, you have come to the right place! We specialize in all of the above and more. 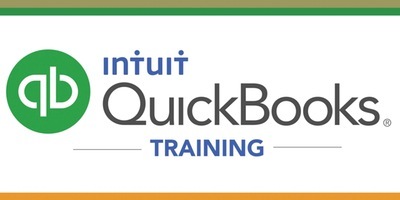 Part of what we specialize in is training clients on how to use the Intuit QuickBooks program. We can train you and help you on how to properly use the program and take advantage of all its functions and purposes. We can even show you some shortcuts and tricks of the trade. We offer a wide range of services from answering one question to three hours of training and set-up of your company data file. In our experience, many people attempt to post accounting transactions while in fact they do not have the skills or knowledge-base required to perform those tasks or work on complex files. If you have decided to hire a bookkeeper but need assistance verifying that a potential candidate’s abilities match their resumes – we can help. We have designed a test that allows us to determine proficiency level, understanding and capability in regards to bookkeeping duties. Peace of mind knowing that you have received a second opinion — from professional bookkeepers. Upon selecting this option, you will receive a three hour session* with an Advanced QuickBooks expert, over the telephone and online using shared desktop programs (such as LogMeIn, Join me, or Team Viewer). * The three hours can be used over several intervals (max. of 6 half hour sessions) to better fit into your schedule and cater to your needs. Upon selecting this option, we will answer 5 QuickBooks or Bookkeeping Inquiries (maximum of approximately half an hour) for you. Once you have prepaid and received the confirmation page, you may email or call us with all your inquiries and we will answer it for you. This is an easy and affordable option if you have a few inquiries or roadblocks but do not need the full training sessions. An online shared desktop program may be used for illustration depending on the nature of your inquiries. Upon selecting this option, we will answer one – two QuickBooks or bookkeeping questions for you. Once you have prepaid and received the confirmation page, you may email or telephone us with your questions and we will answer it for you. This is an easy and affordable option if you have just a few questions. An online shared desktop program may be used for illustration depending on the nature of your question.